The region is home to a handful of training programs helping to support new farmers and local food producers. 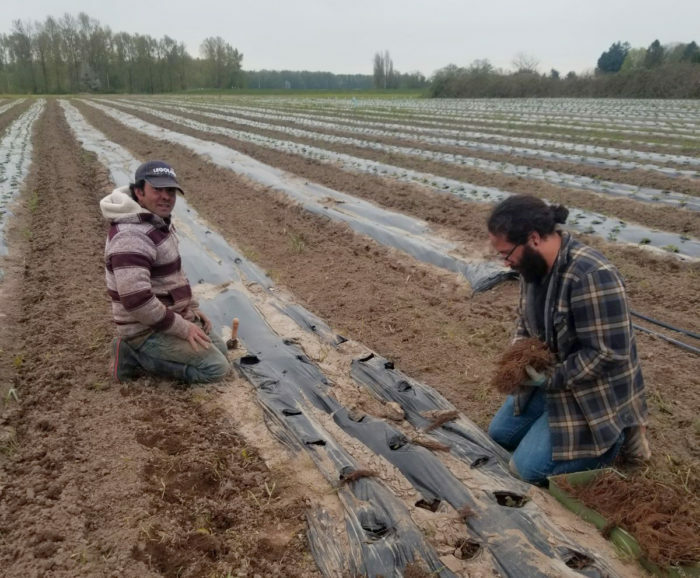 When Francisco Farias, a Latino farmer in Northwest Washington’s Skagit Valley, completed Viva Farms’ nine-month sustainable agriculture training program, he became eligible to lease a half-acre plot at the farm, where he now grows strawberries, peas, broccoli, cauliflower, cabbage, and carrots. But he’s even more excited because, with the skills he learned through the program, he feels ready to grow Farias Organic Farm, a seven-acre operation his older brother, Sergio, started with Francisco and their younger brother, Juan. “I learned different techniques [at Viva] that I can use in our farm, which will help lower overall costs and reduce labor,” Francisco said. Perhaps even more important than those skills, however, he said, “Viva farm made starting my own farm possible because they rent equipment and land.” This fact could save him thousands of dollars. Viva Farms is a nonprofit farm-business incubator in the Skagit Valley that supports aspiring and limited-resource farmers. Through a number of innovative partnerships—with Washington State University and Skagit Valley College on education, with PCC Farmland Trust to support farmland acquisition, and others—Viva Farms and programs like it are bringing new farmers to the land in Northwest Washington. 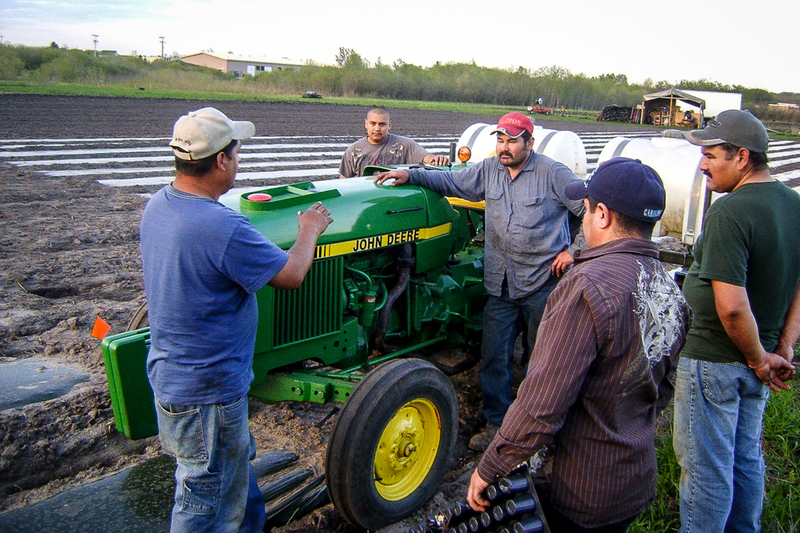 While Viva Farms trains farmers of all backgrounds, the program grew out of outreach to the region’s Latinx agriculture community and has maintained its strong focus on Latinx farmers. Since 2010, Viva has trained more than 700 farmers—more than 150 who are primarily Spanish-speaking—in organic farming, and the nonprofit currently incubates 18 independent farm businesses, seven of which are Latino-owned. It’s an urgently needed success story. Across the country, farms are going out of business due to a one-two-three punch of price crashes, farm consolidation, and farmer retirements. The average age of U.S. farmers is 58.3, and each year that number increases. The farmers that Viva Farms have trained, however, average 40.2 years of age. Francisco Farias, at age 39, is a prime example. His brother Sergio is 42, and Juan is 28. With these facts in mind, farm training programs in northwest Washington and the Skagit Valley have found a model that seems to be working to bring new and younger farmers to fields and help them succeed. Viva Farms goes to great lengths to encourage Latinx farmers to participate in its program, with classes, trainings, and resources—either presented in Spanish or translated into Spanish. While Latinx farmers make up only 3 percent of the nationwide farm population, they’re 44 percent of Viva’s graduates. For the Farias family, starting a farm feels like a homecoming. Sergio Farias has years of experience working on an organic farm, and is glad to have his family joining him in the effort. The seven-acre operation will have its first harvest this summer—organically grown strawberries primarily, but also green beans, peas, onions, cucumbers, lettuce, and kale. 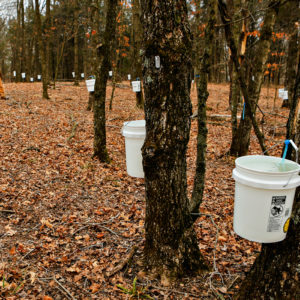 They will be farming the land when it completes the three-year organic certification program this fall. 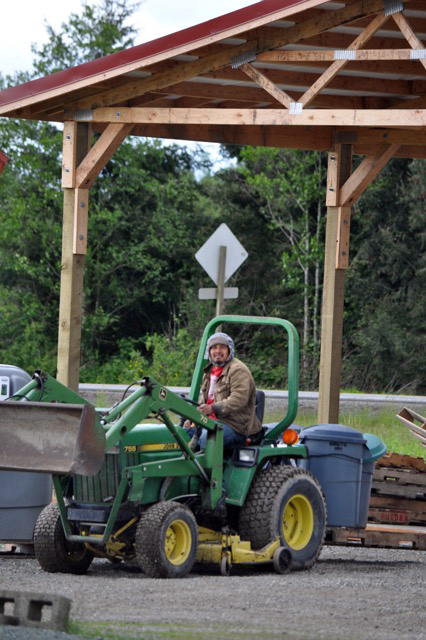 The Farias family is representative of the large population of Latinx farmers that occupy Washington’s Skagit Valley, a rich agricultural area with many small to medium-sized farms. Some are seasonal migrant workers, while others arrived decades ago. Although many have superior farming skills, they often face social barriers to getting started and succeeding in agriculture. They may lack the capital and social connections, language skills or business education to run a farm. That’s where Viva Farms and other organizations, including The Northwest Agriculture Business Center (NABC), also located in the Skagit Valley, come in. NABC is a nonprofit devoted to keeping Northwest Washington farmers farming and local food accessible. Like Viva Farms, NABC has established a program for the region’s Latinx farmer community, providing business services, including creating market connections, working with farmers to produce new products, and researching funding sources for new infrastructure and products. 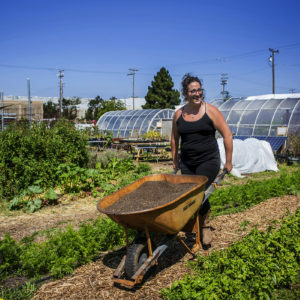 Programs like those in the Skagit Valley are sprouting nationwide: According to the New Entry Sustainable Farming Project at Tufts University, there were 130 incubator farm programs (IFPs) nationwide in 2016, up from 45 in 2012. Many follow a similar model to Viva’s, in terms of providing training, help with acquiring land, and even equipment rentals. Some focus their efforts on Latinx or other immigrant or refugee groups; 40 percent of IFPs tracked by New Entry offer multilingual programming and support. 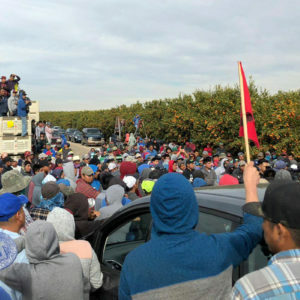 And some, such as the Agriculture and Land-based Training Association (ALBA) in California, also help farmers access markets for the food they grow. Top photo CC-licensed by the USDA. As a 'graduate' of early NW WA farm programs I am a bit disappointed that much modern agriculture involves grant farming more than produce growing. One reason we dropped out of this system is that it's just not sustainable to base a business model on grants, donations & subsidies. We're always one election or recession away from having it all cut, and with climate challenges increasing, we need to spend time & effort adapting to that instead of building on a financial house of cards.